Make a special table center piece with this gift bag balloon weight! 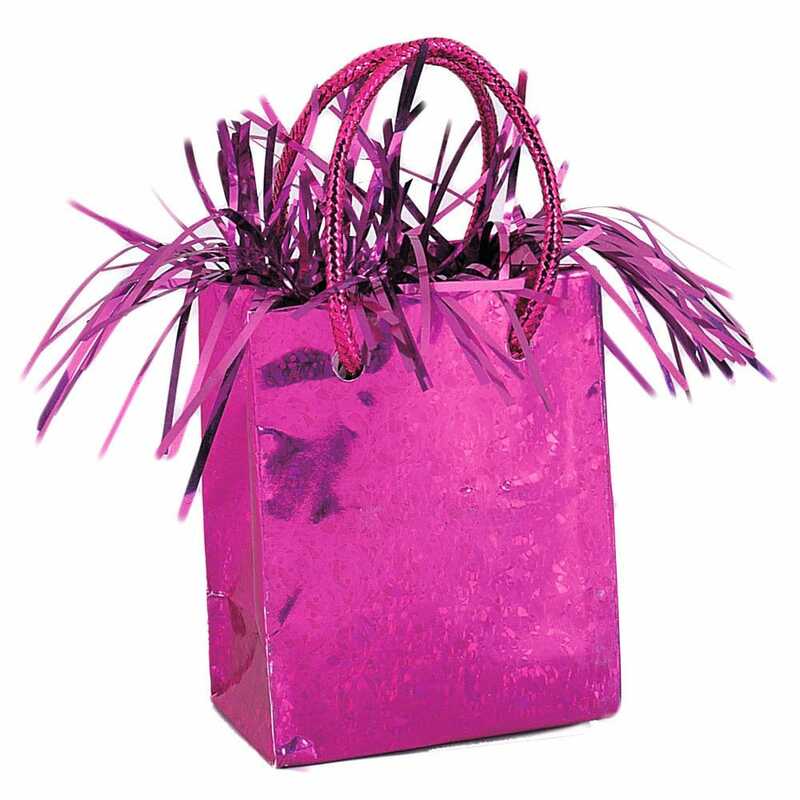 Features a pink holographic gift bag with tinsel flowing out for display. This balloon weight will hold down a bunch of balloons, and it makes it very easy for the user to tie on their chosen balloons. I am so happy with my balloon weghits. They came on time and they are everything I thought they would be, nothing to conplain about at all thank you.